If you have been reading my blog for a while now you would know that I previously lost 3 stones doing Slimming World. Then I lost my way and found it hard to get back on track. I had holidays, Birthdays and of course the big ole food fest which is Christmas!. I very lucky to have only put on a stone in that time. Last week I felt mentally and physically ready to get back on plan. This time I won't be attending group I will be doing it from home. I've joined my local gym which surprisingly I have been enjoying and started a Slimming World Instagram account to keep track of what I have been eating and also there are some amazing inspiring accounts to follow. Don't want to jinx myself but I found the first week easy. I plan my meals in advance, I tend to have Syn free meals and leave my Syns for my treats.I can't get enough of the new Jam Roly Poly & Custard Hifi bars which are 2 bars as a Healthy Extra B or 3 Syns each. I'm lucky I have friends who get them for me when they attend group. I love the freedom of Slimming World everything is allowed as long as it is within the 15 daily Syns allowance. 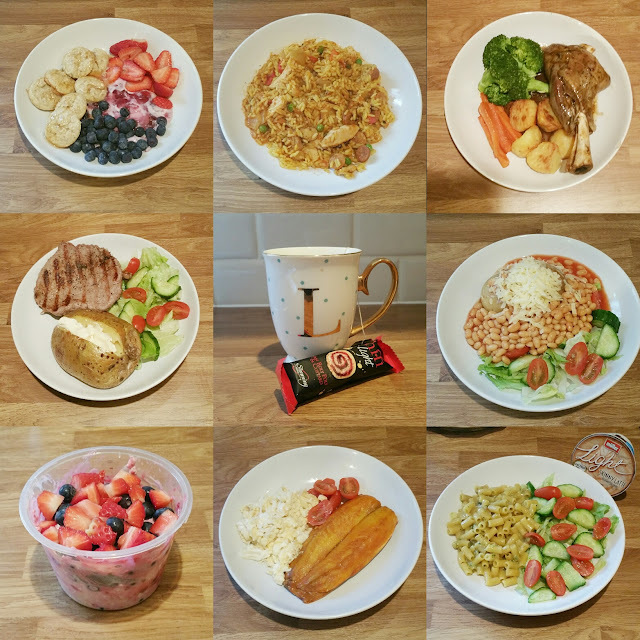 So that was my first week back at Slimming World. Are you following SW? what is your favourite meal as I'm after some more meal inspirations.